These days, even though Android smartphones come with a default music player it’s always wise to look for an alternate music player. Why? Because, most of the time the default player lacks certain aspects such as a good responsive user interface, or a solid equalizer that can greatly affect the quality of the sound and make-or-break your sonic experience. Now, there are many paid and expensive alternatives out there, but why would you waste your money when we have a list of ten of the best audio players for Android waiting for you to have a good peep at? The best part is: we have handpicked some of the best music player apps for Android that are all FREE! It doesn’t matter who you are – a casual listener or a devout music lover, these best music player apps for Android on our list will definitely tickle your sound buds and enhance your listening experience. Gotta download ’em all! 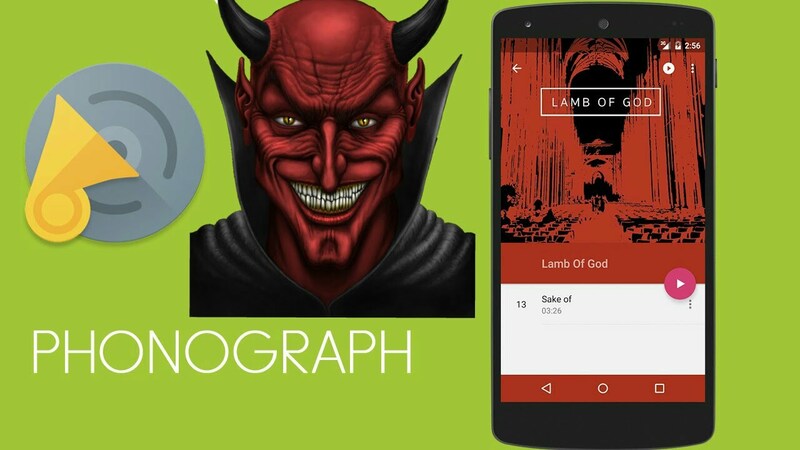 A visually endearing app with a sleek design and clean user interface, Phonograph has long been regarded as one of the best audio players for android in the game. The novelty factor lies in its ever-changing UI that dynamically matches the colour according to the song on-screen viz. Album art. Moreover, you can also customise the player through its theme engine. 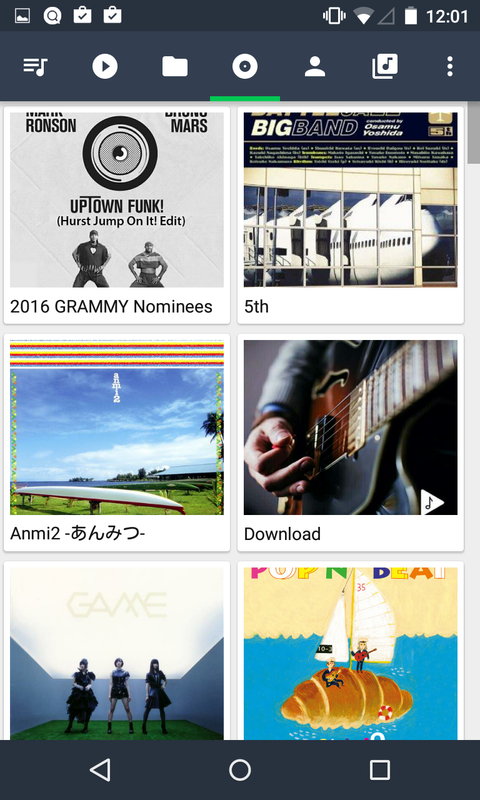 What’s more that propels it to the top on our list of the best music player apps for Android? Phonograph can automatically download missing information of your songs, album art, and even allows you to edit the tags for title, artist, or whole album through its nifty tag editor. Not to mention, the music library is categorised on the basis of songs, albums, artists, and playlists with the option of browsing through folders. Wait, there are more rich features bundled into this beast of a free music player. Phonograph also possesses gapless playback, lock screen controls, and a sleep timer. The app also proffers in-app purchases if you want to expand the no. of features. Thanks to being completely free and lightweight, Pulsar is deemed by many fans as one of the best audio players for Android. Propelled by an ad-free and elegant user interface with animation, Pulsar has a lot of things going for it. Users can customize the interface with diverse colour themes. Plus, you can arrange Pulsar’s library view on the basis of artist, album, genre and folders. Moreover, the app also boasts feature-laden goodies such as home-screen widget, ChromeCast support, gapless playback, last.fm scrobbling, in-built tag editor, and much more. Despite being tiny in file size, Pulsar is definitely one of the best music player apps for Android worth a download. Adorned with a customisable user interface that can be fully controlled by gestures and swipes, BlackPlayer is undoubtedly one of the best Android music player apps out there when it comes to functionality. What’s in store for audiophiles seeking sonic pleasure? 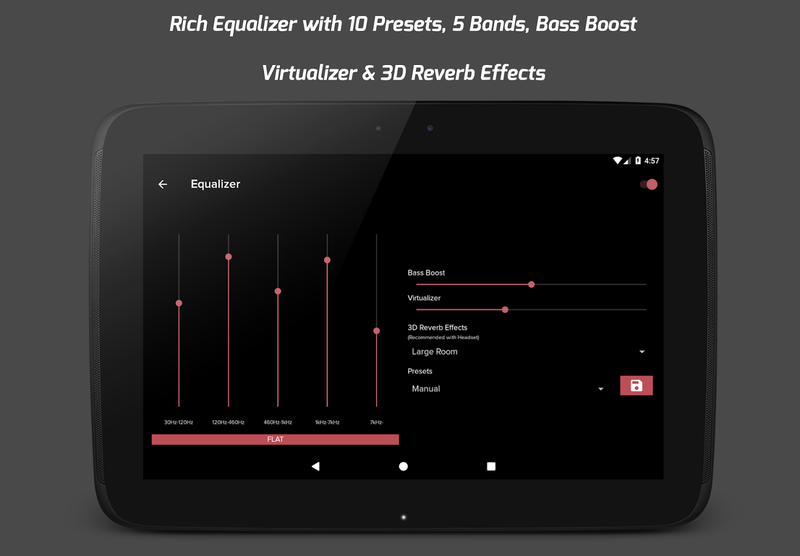 BlackPlayer comes loaded with Bass boost and virtualizer, 5-band built-in equalizer, ID3 Tag editor, Gapless playback, Sleep Timer, changeable themes and widgets. BlackPlayer also supports standard local music file formats such as MP3, OGG and WAV. Moreover, BlackPlayer is completely ad-free and allows users to change the UI colour and font precisely with custom set values. You can also purchase the paid version which comes loaded with far more abundant features. Thanks to an innovative surface search and a beautiful user interface with zoom-in and out functionality, n7player Music Player is a popular music player choice for many Android lovers. The n7player app is laden with an advanced 10-band equalizer that can be customized as per your music cravings – straight from deathcore to grunge, grime and post-rock. It is also loaded with enthralling features such as: tag editor, gapless playback, bass boost, sound virtualization effects, sleep timer, and themes, etc. 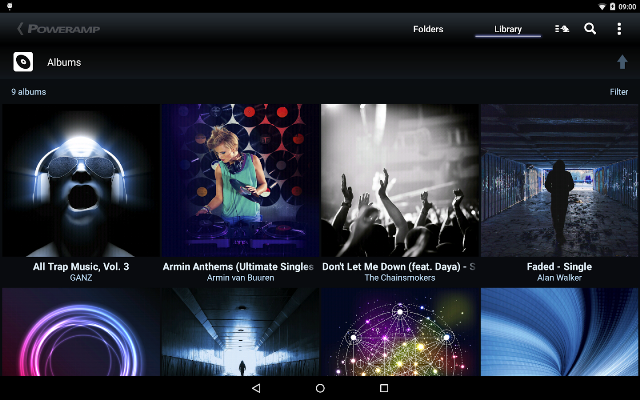 Don’t these features make n7Player one of the best music player apps for Android in the reckoning already? Moreover, bolstered by graphical improvements on its media library, you can search for any song within the various views on the n7player app. However, the free version is only for a trial period of 14 days after which you need to download the premium version from Google Play with a paltry amount to enjoy all its features. 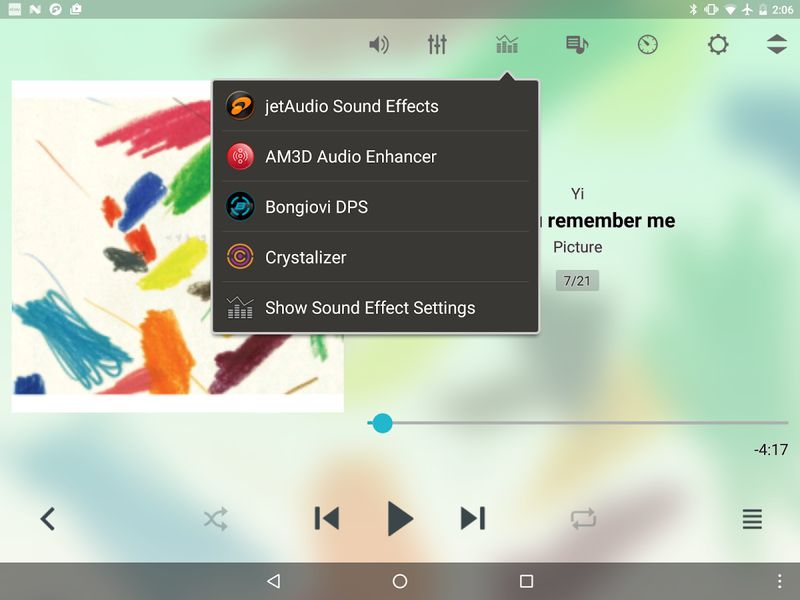 Pi Music Player comes loaded with all the necessary features that a music lover might prefer in a best audio players for Android. With an excellent looking interface that makes everything easy to use, playing music from any of its various library views (tracks, artists, albums, playlists, genres, folders) becomes a cinch. A unique aspect of Pi Music player is that upon startup users are asked to select a theme among four available varieties which can be later changed. Not to mention features such as: Ringtone Cutter, Widget support, and Sleep Timer. You can even share stuff like tracks, albums, and playlists with anyone in the world through its Pi Power Share feature. 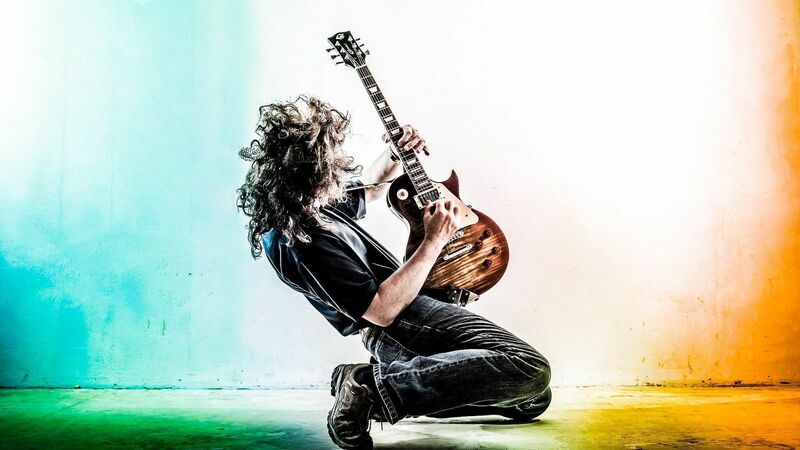 Moreover, users can enjoy any genre of music ranging from heavy metal, progressive rock to straight up hip-hop through its 5-band built-in equalizer, 3D Reverb Effects, Virtualizer, Bass Boost, and TEN awesome presets! However, one downside with this music player is that it is not ad free so you will have to make additional purchases for an ad-free experience. 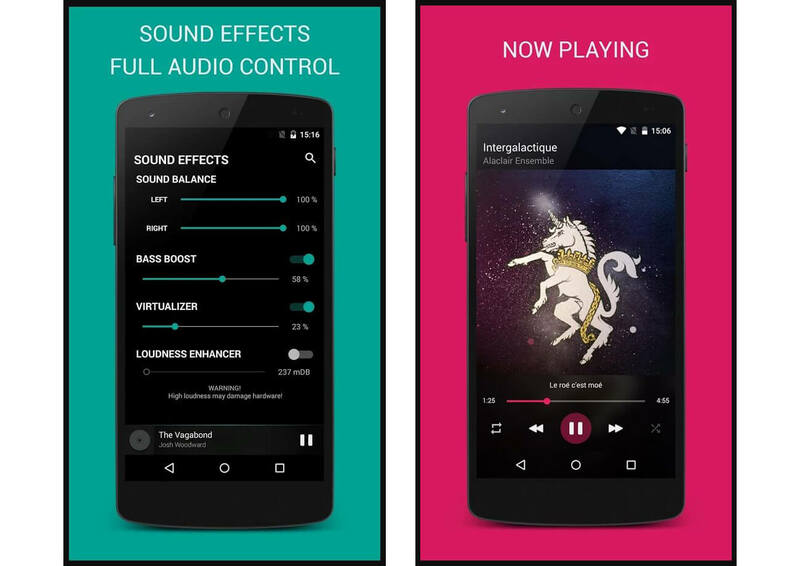 Another ad-free and lightweight entity on our list of the best audio players for Android, Musicolet comes loaded with a gamut of unparalleled, rich features. For starters, it allows users to control the music player using their earphone button. Second off, there’s a lot of click/tap action going on as well- a single click/tap for pause/play, double click for next track, and triple click to rewind to the previous song. Plus, Musicolet also lets you fast-forward the current song with 4 or more repeated taps. The novelty factor for Musicolet that injects it into the best music player apps for Android hall of fame is that it supports multiple playing queues as well as an intuitive GUI with easy access tabs for artists, albums, folders, and playlists. Further, Musicolet proffers rich features such as a tag editor, equalizer, sleep timer, lyrics support and widgets. MediaMonkey is a popular feature-ridden Android music player whose USP lies in its fast search algorithm that predictively displays both artists and tracks. It also boasts a five-band equalizer with stereo balance, and it can download your missing album art and lyrics. Further, MediaMonkey’s library can be browsed according to artists, tracks, albums, genres, audiobooks, and even podcasts. However, the folder view is only available for a trial period of 15 days on the free version. Wait, there’s also a barrage of additional features to devour such as: Chromecasting, sleep timer, home-screen widgets and a tag editor. Did you know that you can also sync the Android version of MediaMonkey with its Windows version? Moreover, you can also view the seek bar of a song in the notification panel by enabling it in the settings. With Android Auto support, MediaMonkey is without a doubt one of the best music player apps for Android that you can have a good peep at. 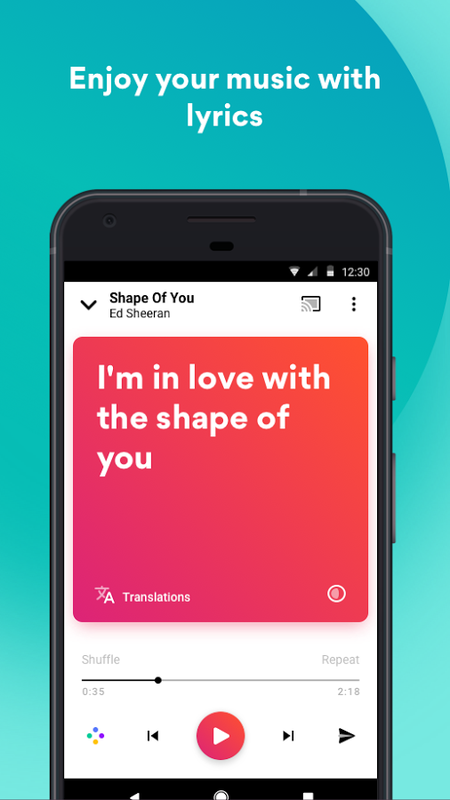 If you are a massive fan of singalongs, Musixmatch is the ideal player for you with its floating lyrics widget that can provide synced lyrics access in real-time. You can even view the lyrics to a song even while using streaming services such as Spotify, Apple Music, SoundCloud, etc. It is perhaps among a few best free music player apps for Android that can display lyrics so seamlessly. Moreover, Musixmatch can identify lyrics of songs playing in your surrounding intuitively and helps you search songs by title, artist or a mere line of lyrics. 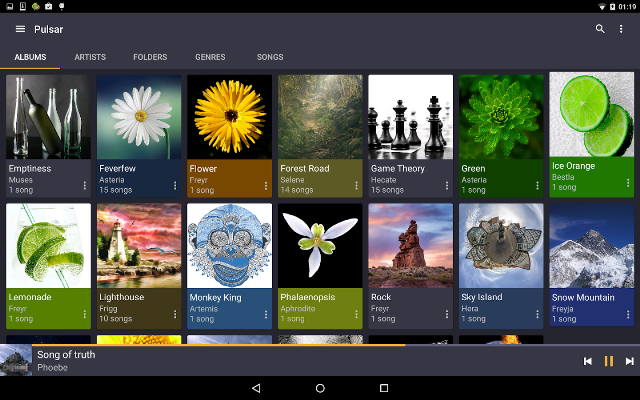 It also features browsing of media by artist, album, genre, and folders. However, Musixmatch displays ads which can only be removed by purchasing the premium version. Bummer! An old favourite of Android users, jetAudio still comprises of abundant features to be counted amongst the best music player apps for Android. With a simple yet effective interface and a variety of audio enhancements in the form of plugins, jetAudio lets users tweak their musical experience a notch above the rest. To top it all off, it comes with an equalizer with 32 presets, tag editor, bass boost, and even MIDI playback! Yes, it is in the rare league of best free music player apps for Android that support MIDI playback. However, the free version is not ad-free so users might have to switch to premium. 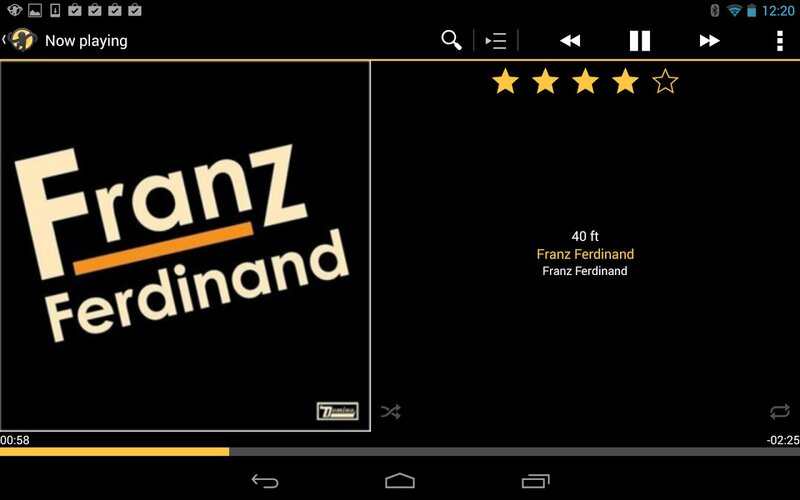 The last one on our list of the best audio players for Android needs no introduction. 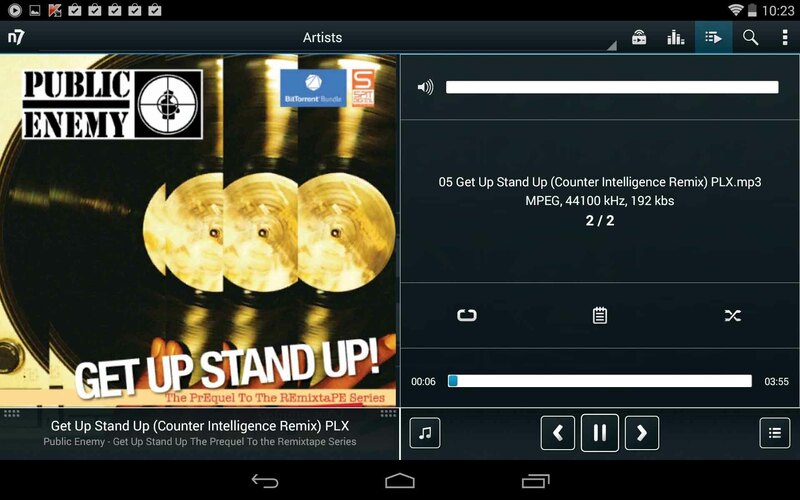 With a sleek interface laden with download-able themes from Google Play Store, Poweramp is a surefire go-to music player app for Android fans. Users get the option to customise their themes and can also avail various playback features such as crossfade, gapless playback, and numerous types of playlists. You can stumble across and make use of other useful features such as tag editing, finding widgets, and many more customisation settings. Poweramp is indeed a powerful player that that can strike the right chord with users of various hues. Did you find our list of best music player apps for Android 2019 to be helpful? Share your feedback in the comments below or share it on Reddit, Facebook or Twitter.